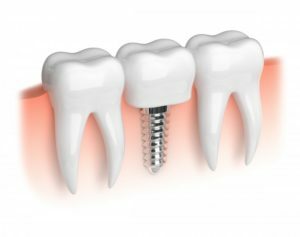 Your Life Restored with Dental Implants in Downtown Los Angeles! If you’ve been living without a full set of teeth for any period of time, then you know that it can create some difficulties. For starters, chewing certain foods suddenly becomes a chore, and then there’s the lost confidence that comes along with not being able to display an attractive and symmetrical smile. Thankfully, with dental implants in Downtown Los Angeles, all the negativity you’ve experienced since losing your teeth can be reversed! 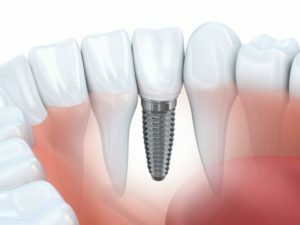 Comments Off on Your Life Restored with Dental Implants in Downtown Los Angeles! Did you know that people once used materials like beeswax and wood to fix damaged teeth? Thankfully, those days are over and we now have much more reliable ways to restore teeth, including restorations like dental bridges. However, all bridges are not created equal! 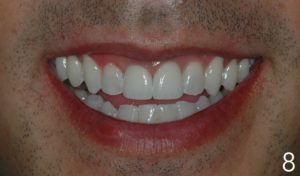 The material a prosthodontist in downtown Los Angeles uses for a bridge makes a big difference in its overall quality, appearance, and longevity. 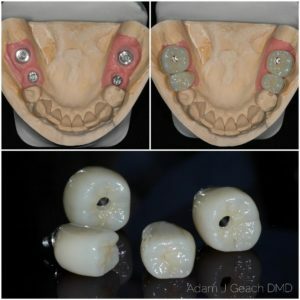 Keep reading below to learn about the general benefits of dental bridges and the advantages of having them made with an outstanding material called zirconia. 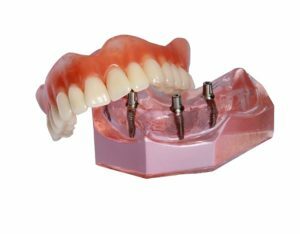 A prosthodontist specializes in restoring teeth with prosthetics in a way that produces a functional and aesthetically pleasing end result. To accomplish this, they may have to design various types of restorations and work closely with other dental specialists. 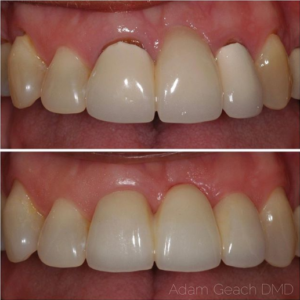 Would you like to learn about a specific case wherein Dr. Adam Geach, a prosthodontist in downtown Los Angeles, helped a patient regain a strong, attractive smile? Here is a brief walkthrough of one of his recent cases. This patient was referred to our office after orthodontic treatment was completed. The lower teeth were properly positioned for the placement of dental implants in the open spaces (see Figure 1). You know that cosmetic dentistry can help you improve the appearance of your smile; however, how your teeth look is not your only concern. You also live with compromised oral functions. Did you know that you can correct both with a prosthodontist in Downtown Los Angeles? A prosthodontist is specially trained to improve the function and health of your smile while also keeping aesthetics in mind.